French sailing star Thierry Douillard today led his EFG Bank Monaco (MON) team to their fourth consecutive EFG Sailing Arabia – The Tour title as the Arabian classic came to a thrilling climax. 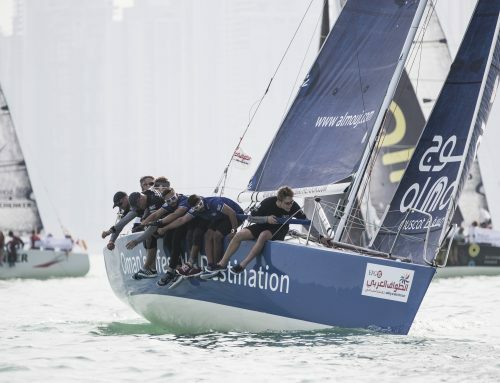 Douillard’s men sealed their victory in style by winning the final race of the event, a sprint around a short course that rounded off the Dubai in-port series. EFG Bank Monaco began the two-week long, five-leg race around the Arabian Gulf as the hot favourites having won the past three editions. The reigning champions dominated the podium throughout the tour, winning four of the five offshore stages and one in-port race series. 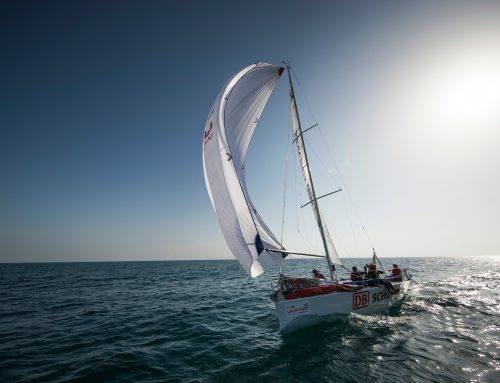 But it wasn’t all plain sailing, Team Al Mouj Muscat (OMA), the 2016 runners-up, threatened to usurp EFG Bank Monaco and when they crossed the finish line of the fifth and final leg from Doha to Dubai in first place it looked like a photo-finish was on the cards. Team Al Mouj’s hopes of toppling their rivals were dashed when an international jury deemed them to have sailed into an exclusion zone during the leg, resulting in their disqualification. EFG Bank Monaco went into the Dubai in-port race series with an unassailable lead before bowing out on a high, finishing the final inshore series second to Team Al Mouj Muscat. It was an exhilarating end to an epic race that saw the eight international crews from seven different countries cover 763nm from Muscat to Sohar, around the Musandam Peninsula to Khasab in Oman and on to Abu Dhabi in the UAE. 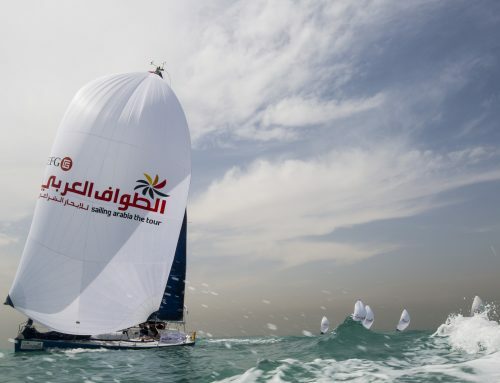 The fleet then embarked on two legs across the Arabian Gulf to Doha in Qatar and back to Dubai, showcasing the world-class sailing the region has on offer. “It’s a great feeling to win the regatta,” said Douillard, who led the team in place of injured long term skipper Sidney Gavignet. “We really deserved it – we’ve worked so hard over these last two weeks. EFG Bank Monaco will now have their names engraved on the EFG Sailing Arabia – The Tour trophy for a fourth time. 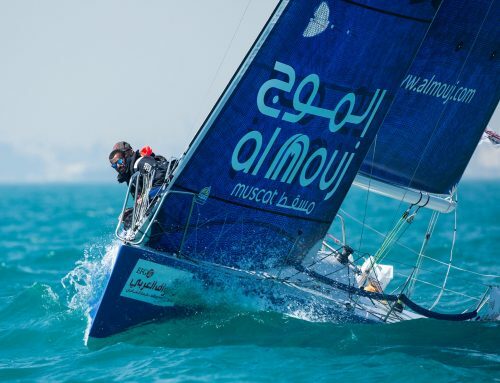 Team Al Mouj Muscat’s disqualification in Leg 5 saw them relegated to third place overall, behind Leg 1 winners Team Renaissance (OMA) led by Gavignet’s protégé and Omani sailing star, Fahad Al Hasni, with a 90 per cent Omani crew. 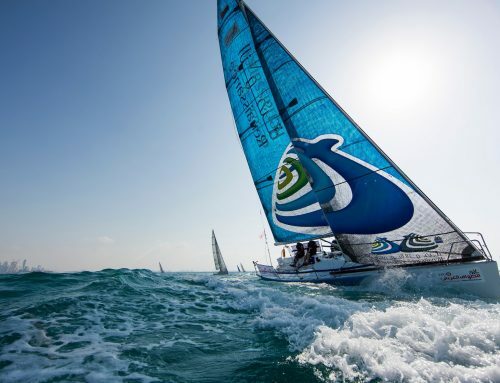 A third-place finish in the Dubai in-port series wasn’t enough to elevate Team Zain (KUW) to the podium and they ended the regatta in fourth ahead of event newcomers Adelasia di Torres from Italy. Last year’s third-place finishers Team Averda (GBR) had to settle for sixth, with Bienne Voile (SUI) in seventh and all-female crewed DB Schenker (GER) in eighth. A special prize-giving ceremony celebrating the achievements of the sailors and the success of EFG Sailing Arabia – The Tour will be held this evening. The awards was presented by Sheikh Khalid bin Zayed Al Nahyan, President of the UAE Sailing and Rowing Federation, and His Excellency Dr Khalid bin Said Al Jaradi, Oman’s Ambassador to the UAE.